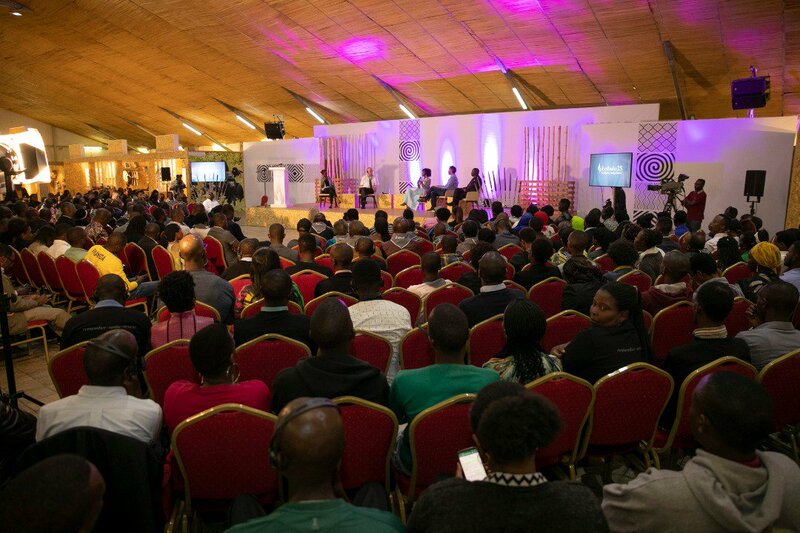 Kigali 9 April 2019 – Over 300 journalists and social media influencers in held on Tuesday evening, a Reflection Day on Media and Genocide at the Kigali Conference and Exhibition village (KCEV). The commemorative event was preceded by a walk to remember from the Kigali Car Free Zone, all in line with the ongoing 25th commemoration of the 1994 Genocide against the Tutsi. 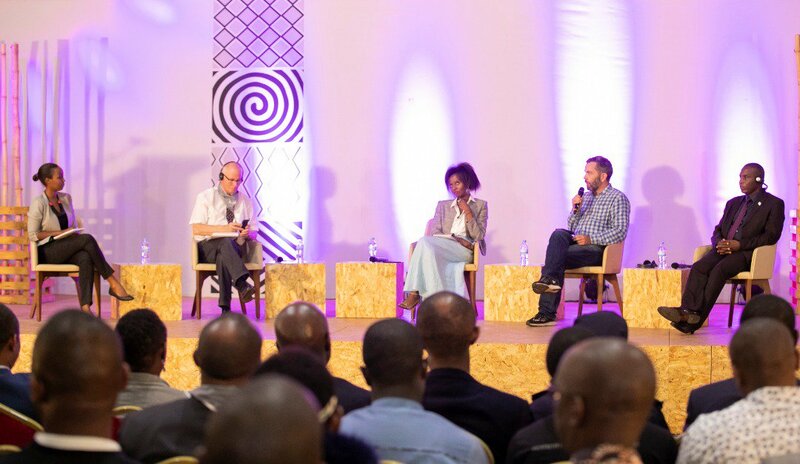 Choosing the Kigali Car Free Zone was not only because of its convenient location in the city centre, but also because of its symbolic value: it is where the Radio Télévision Libre des Mille Collines (RTLM) -also known as Hate Radio- was based. This commemoration event was therefore an act of defiance where media fraternity as well as social media influencers stood at the exact same spot where 25 years ago messages of hate and destruction were broadcasted from to talk about their role in rebuilding the country and hope for the future. Through panel discussion, presentations, speeches and spoken word/performances, the evening was an occasion to honor journalists who were killed during the genocide and reflect on the role of the media in today’s society transformation. It was also an opportunity to discuss challenges pertinent to the ever-changing media landscape and the potential impact this can have on our social fabric. In his address, Minister of Local government, Prof Anastase Shyaka noted that the Genocide was possible party due to the kind of “marriage” between creators of policies and creators of opinion and urged the media practitioners to keep professionalism and serve the people’s interest. “The journalists we are remembering here today paid the price of defiance. They fought for professional journalism that served the people but they were operating under a government that was not interested in serving the people. What we had in 1990-1994 was a typical context of the convergence of action from two actors that facilitated the execution of the Genocide: Creators of opinion on one hand, and creators of policies on another hand. We lost the logic of checks& balance that lead to a marriage between creators of policies & formers of opinion (media). If that marriage was not there, the Genocide couldn’t have happened to the extent it did. It would haven’t been a “Popular Genocide”. Minister Shyaka stated. Over 60 journalists were killed during the 1994 Genocide against the Tutsi.